Domain knowledge is important for a business analyst and project manager as they interact with businesses to develop software applications. 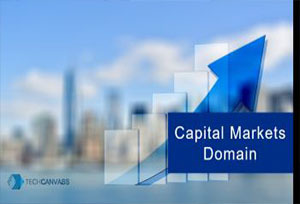 Techcanvass offers domain training courses which provides basics of business domains like Banking, Investment Banking, Capital markets, Insurance, US healthcare, Supply Chain and more. The domain courses can be taken up as independent courses or as part of business analyst courses with Domains. A typical business analyst certification course with domain will be around 8-9 weeks. 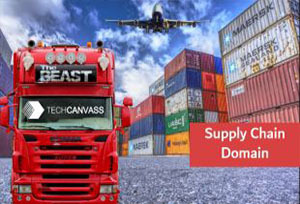 If you opt for only domain courses, these are also conducted over the weekends by experienced professionals and duration of these courses is typically 2-3 weeks. Banking industry is the topmost source of revenue for the IT industry along with Insurance and other financial services industry, collectively termed as BFSI. 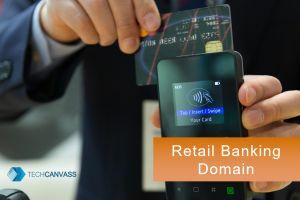 For an IT professional like a business analyst or a project manager, good understanding of the banking domain is an advantage. Our banking domain course lays the foundation for your path towards domain expertise. This course covers the overall banking industry overview, its segments, functions and processes with the view to provide you a broad level understanding. This course will also have a project on banking industry to help you apply your understanding.The project will be reviewed by the training expert. This course is designed for project management professionals, who are required to manage banking domain projects and would like to be in the thick of things. This course is designed for testing professionals, who would like to add value to their functional testing role. Techcanvass offers business analyst training courses with domain modules. This business analyst training with Investment banking domain will help you in mastering the practical business analysis skills as well as Investment banking fundamentals. for becoming a business analyst in the IT industry. This course will also prepare you for IIBA ECBA Certification. In this course, you will master the practical Business Analysis skills like UML Modelling, User Story Modelling, SQL, SRS Preparation & Business case preparation. The investment banking modules will be covered in 3-weeks once you finish the business analyst modules. Healthcare industry in the United states of America (USA) is one of the largest employers of the IT industry. The patient record privacy and high-quality standards require software solutions, which keep evolving. Our US healthcare domain course lays the foundation for your path towards domain expertise. This course covers the overall US Healthcare industry overview, its segments, functions and processes with the view to provide you a broad level understanding. This course will also have a project on US Healthcare industry to help you apply your understanding. The project will be reviewed by the training expert. This course is designed for project management professionals, who are required to manage projects in this domain and would like to be in the thick of things. Banking, Financial services and Insurance (BFSI) is the topmost source of revenue for the IT industry. 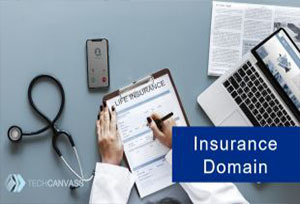 For an IT professional like a business analyst or a project manager, good understanding of the Insurance domain is an advantage. Our Insurance domain course lays the foundation for your path towards being a subject matter expert (SME). This course covers the overall Insurance industry overview, its segments, functions and processes with the view to provide you a broad level understanding. At the end of the course, you will also be asked to work on a project so that you can apply your understanding. The project will be reviewed by the training expert. This course is designed for project management professionals, who are required to manage Insurance domain projects and would like to be in the thick of things. Trade finance is the financing of international trade. The financial institutions finance the exporter in order to help them deliver goods and services. Trade finance is a major source of revenue for the financial institutions. Our Trade finance domain course lays the foundation for your path towards domain expertise. This course covers the basics of Trade finance, various products like letter of credit (LC) etc. This course will also have a project on Trade Finance to help you apply your understanding. The project will be reviewed by the training expert. If you are interested in opting for a stand-alone domain training or would like to do it with any of the other certification courses, you can get in touch with us. You can choose to enrol for multiple domain courses as it’s a great way to enhance and differentiate your resume. You can choose two or more courses and we will provide you great discounts on those. The table below shows the available packages for domain training courses.